Deep Learning Super Sampling (DLSS) has been added to Anthem in a game patch released yesterday. The co-op action game from EA / Bioware will run at up to 40 per cent faster frame rates with DLSS applied, according to a new post on the GeForce Blog. Furthermore, Nvidia's deep learning neural network supercomputers are continuing to train and optimise the DLSS in Anthem, so further optimisations are promised. 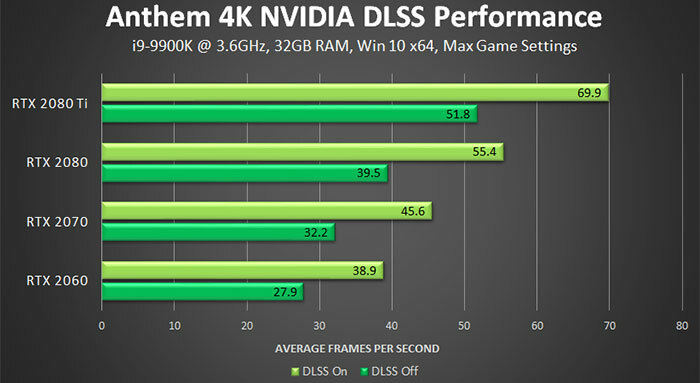 Nvidia highlights that "DLSS helps the most when the GPU is under maximum load". See the stats below for a 4K Anthem gaming session example using various GPUs. 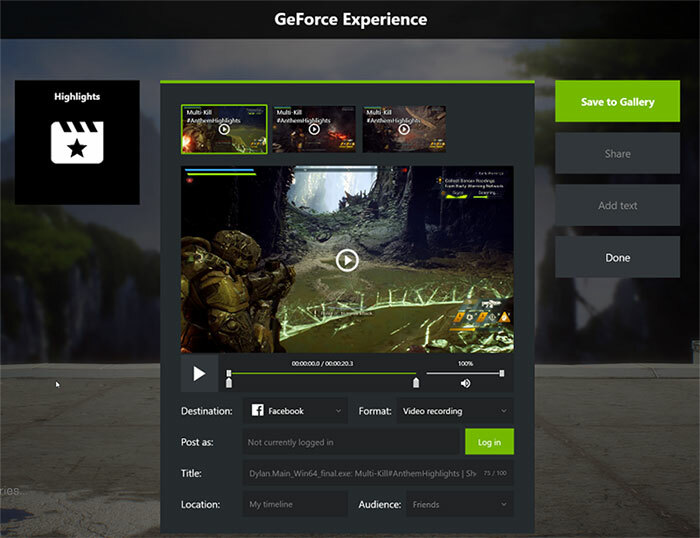 Highlights footage is easily reviewed, edited and shared via Nvidia's GeForce Experience software. It's a complete mess currently, each patch seems to make it worse in terms of loot. For a “looter shooter” it seems BioWare simply don't have what it takes. 6) Hmm…. Well… On the third game you'd expect it to be better.